Samsung's Unpacked event on Thursday brought more than a blown-up S6 Edge and a new Note —the company also gave a sneak peak at the next version of its Galaxy Gear smartwatch, a significant update that takes more than a few cues from Apple's own wearable. The Gear S2— Galaxy branding is apparently passé in the fashion world —is round, unlike its rectangular forebears. 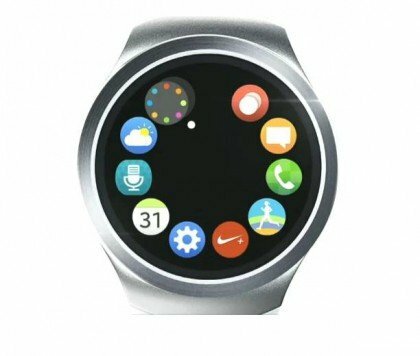 It also seems to be running Samsung's own Tizen operating system, rather than Google's Android Wear, which powered the first-gen Gear. With the form factor shift comes a new user interface, which features a group of round icons that look somewhat familiar. What seems to be a dialer is nearly identical to the Apple Watch's Friends view; the Weather icon swaps the sun to the right-rear of the cloud. In sum, Samsung seems to have returned to the strategy it employed during its "crisis of design" in the wake of the iPhone's release. In a 132-page document uncovered as part of Apple's landmark lawsuit against the South Korean firm, Samsung's design team methodically deconstructed the iPhone's user interface and suggested methods to make Samsung's own smartphone UI more closely align with Apple's. This report helped seal Samsung's fate in a trial that saw it found guilty of copying the iPhone and ordered to pay Apple hundreds of millions of dollars. 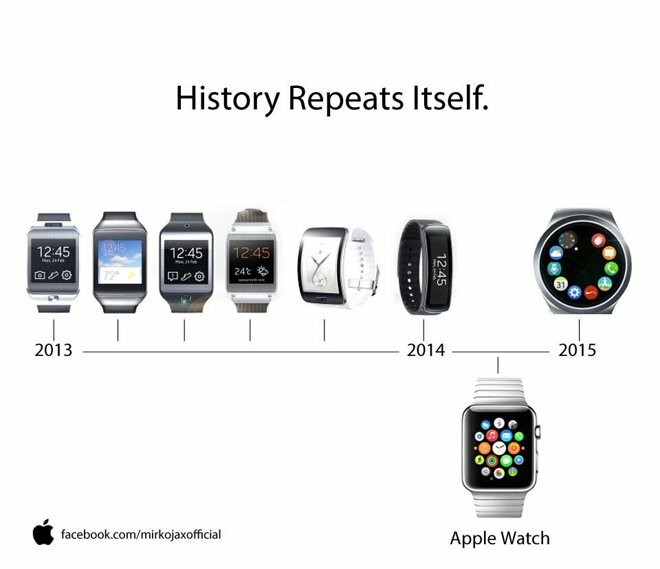 Samsung will reveal more details on Sept. 3, but so far it looks like Galaxy S1 redux with the Gear S2.